Arrival Delhi Railway Station/Airport, Meet & Assist further drive to Haridwar. Later drive to Hardwar transfer to your Hotel. Visit Har-ki-Pauri for Ganga Aarti in evening. Back to your hotel, Dinner & Night halt. Drive to Govindghat, Trek Start from here to Ghangaria (3000 mts). Check in Hotel. Ghangharia/Govinddham : 5 Kms. 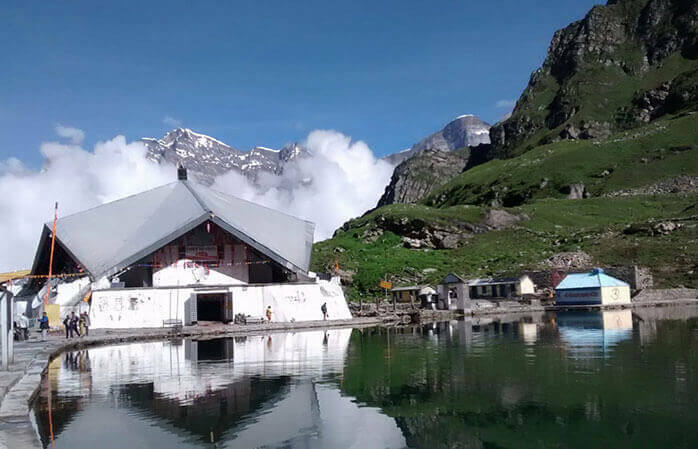 situated in the midst of a pine grove Ghangharia serves as a base for visiting Hemkund Shaib. It is the last human habitation in the valley. A tourist Lodge, log huts, tents and a Gurudwara provide comfortable accommodation. Morning, visit Hardwar Local Sight Seeing & Temples. Later drive back to Delhi. On Arr. Delhi, transfer to Railway Station / Airport for your return journey.